Wife, mother, community servant and entrepreneur, Noret Bazemore, has been creating edible art for over 14 years. Creativity is who she is. Noret has 13 years of performing arts background through singing, acting, dancing and modeling. This has given her a special attention to detail which allows her to create a showpiece for her clients. Armed with the knowledge and experience that only 4 generations of family in the baking business can provide, Noret also uses her 15 years of management experience in corporate america, to build a successful platform on which she demonstrates her artistry to the world. In addition to creating edible art, Noret loves her community and often is asked to speak to children in schools & civic organizations all around New York about entrepreneurship. 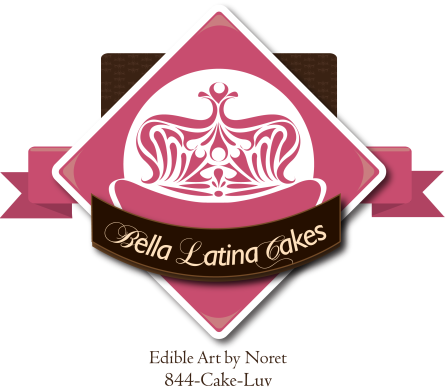 Based in Freeport, Long Island, Bella Latina Cakes has been featured at the Women of Integrity (WOI) Annual Anniversary Party, Long Island Mocha Moms Annual Mother's Day Tea, Cornerstone Church Anniversary, The Women Of A New Tribe Art Exhibit at the African American Museum, as well as a host of birthday celebrations, weddings, and baby showers. To order your custom creation from Noret, call toll free 844-Cake-Luv, or click here to send an email.